You are here: Home / All Recipes / What is Keto? 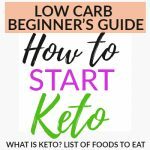 How to start the Ketogenic Diet – a detailed guide for tips, a list of what to eat and things to expect. Chances are that by now you’ve heard about the Ketogenic (Keto) diet. It’s a very low-carb high fat diet that has skyrocketed in popularity. I have been following the ketogenic diet since December 2016 now due to various health reasons (you can read more about my personal journey HERE). There are a few basic tips to remember if you are planning on embarking on a keto lifestyle. 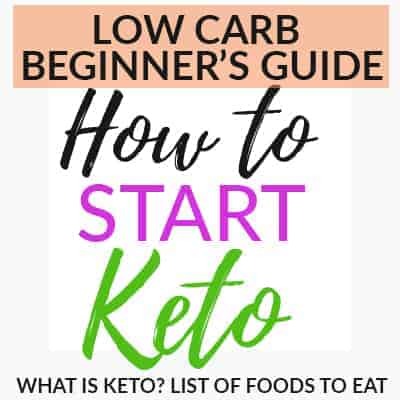 In this guide on how to start a ketogenic diet, you can find lots of useful information to help you get started, pantry staples, as well as simple tips to keep you on track. 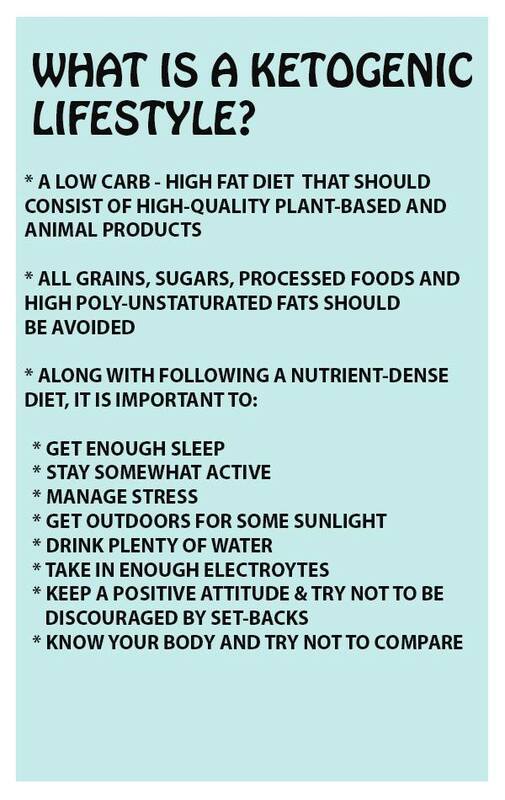 The ketogenic diet is a very low-carb, high-fat diet. It involves drastically reducing your intake of carbs by staying under 20-50 net carbs per day and replacing them with fat. This change leads to the metabolic state called ketosis. Ketosis is when the body starts to burn fats rather than carbs. Carbs in foods are typically converted to glucose, which is used as a source of energy. When you restrict carb intake, your body will instead convert its existing fat into fatty acids and ketones, which replace glucose as an energy source. It can be daunting when you’re just starting out on a low carb diet, ketogenic diet. 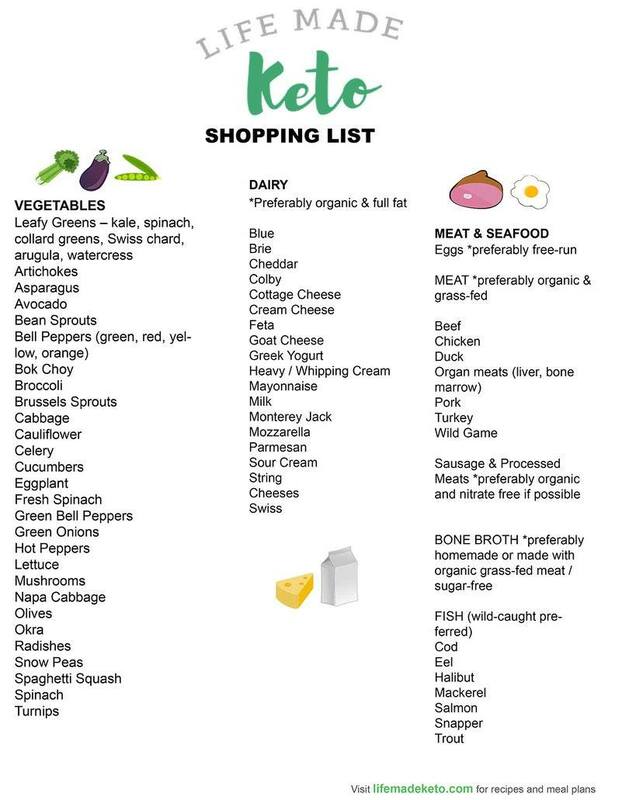 This keto diet food list is a great starting point for anyone new to a low carb lifestyle — this list breaks down all the foods that are safe to eat on a keto diet and most of these ingredients can be readily found in most grocery stores. 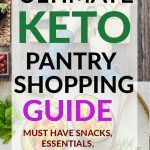 For a more detailed post on how to stock a keto kitchen, check out this post. Fruit can still be enjoyed but only occasionally since they are higher in sugar and carbs. It’s best to stick with the lower carb fruits like berries. The list above shows them listed in order of lowest to highest carb. Lowest carb being raspberries and peaches being higher up in carbs. 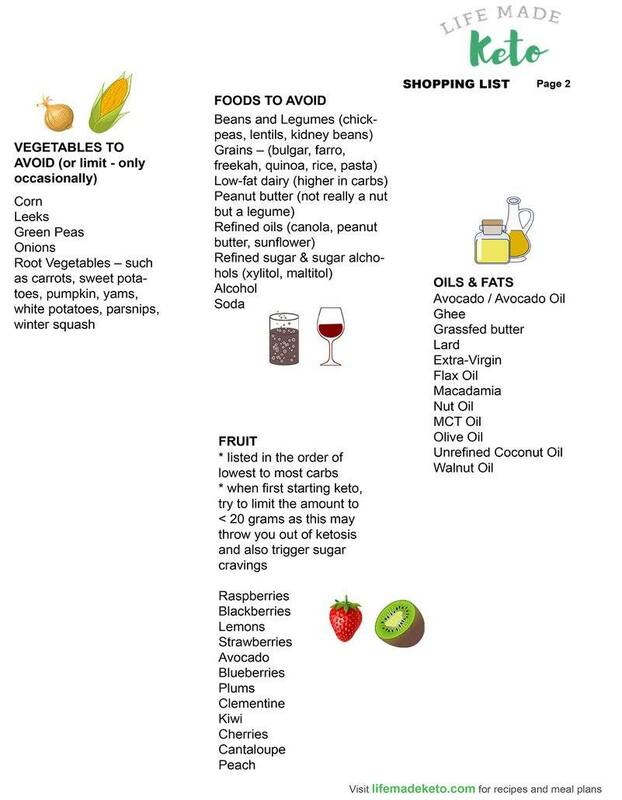 The oils and fats on the list above are all keto-friendly and excluded from the list of foods to avoid. Be sure to read nutrition labels when purchasing packaged products as the amount of carbs and protein can vary between different brands. 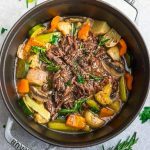 There are lots of creative keto recipes that you can find online these days. Most people when they start keto think that eggs are the only thing that you can have for breakfast but that isn’t the case. You can find lots of keto-friendly pancakes, muffins, and even donuts. You can also check out this list of keto-friendly foods with a variety of options for breakfast, lunch and dinner. 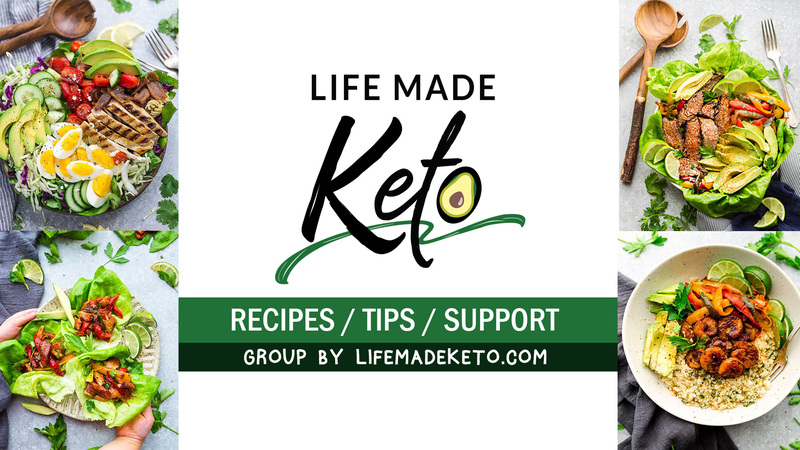 What I found really helpful when you’re first getting started is to build a support system with other people doing keto. It allows you to vent, get recipes, feedback, tips, and get general support. Having the proper Keto friendly foods stocked in your home is a HUGE key for success. If everyone in your household is also following Keto, then it helps if you try to unload or donate any foods that don’t fit into keto that will cause you temptation. 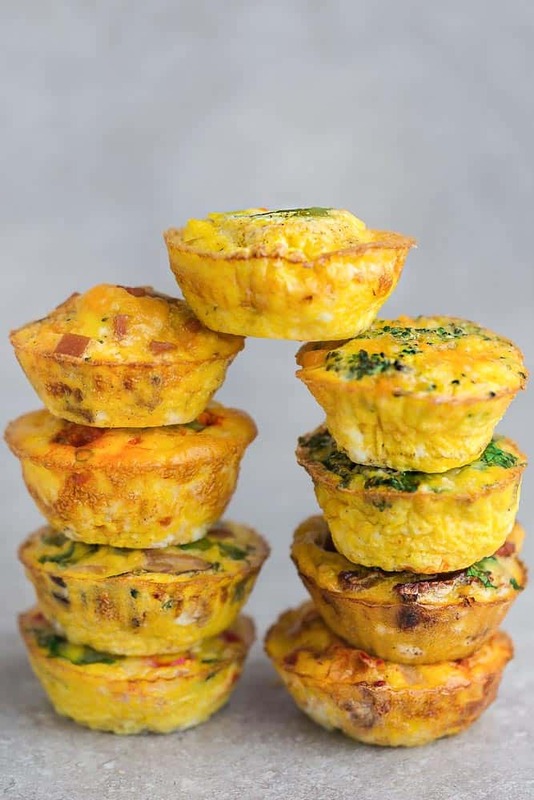 My husband and kids are NOT following the keto lifestyle so I still prepare and come into contact with lots of non-keto friendly foods regularly without falling off. The important thing to remember when making any lifestyle change is that the first few weeks are always the toughest as your body takes some time to adapt. The first 1-2 weeks focus only on keeping your carbs below 20g and meeting your protein goal. Keto is an adjustment to your body and you don’t want to set yourself up for failure from the start. Ease into being on point about staying below your caloric intake. To start, just try to keep your carbs below 20g, eat enough to reach your protein goal (VERY important) and you do NOT have to reach the fat macro – only use that number as a max instead of a goal. Always try to be kind to yourself and learn from any mistakes. If you mess up, don’t give up and move forward. Many people experience the “Keto Flu” for the first few days to a week. You may feel run down, foggy, get headaches, feel tired and a bit achy. It’s no wonder why people quit keto just a couple weeks in. So what causes keto flu? It’s the lack of electrolytes in your body. My experience was that it is much worse if you have a really bad diet before hand, with lots of sugar and processed carbohydrates. For me, I started strict keto when I had already cut out the majority of sugars and grains. If you want to reduce the effects, try to cut out refined carbs and sugars for a few weeks before going completely keto. Things like bone broth, magnesium supplements and lots of water will also help you. Some people choose to buy supplements to make sure they get what they need or you can try adding more salt (Himalayan is best) to certain meals. 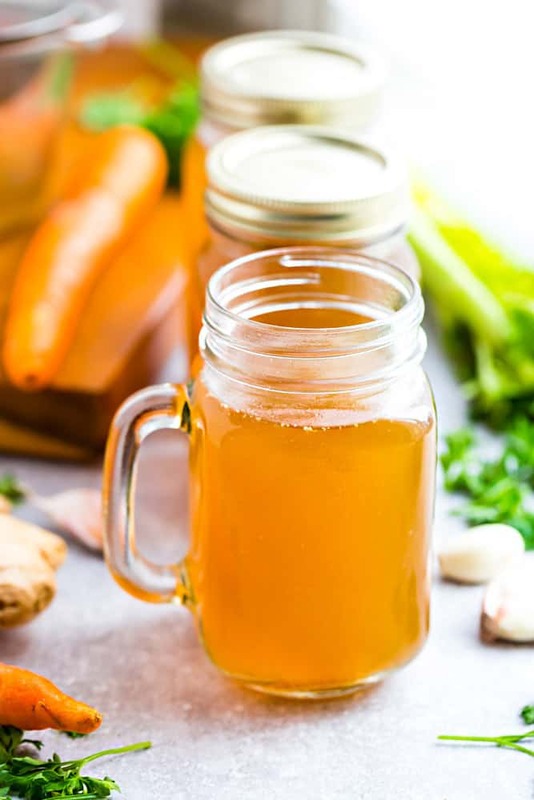 Others also use bouillon cubes, which are small cubes of dehydrated vegetables, sodium, and seasonings that are combined with hot water to drink. Either way you choose, it’s important to make sure that you have enough water, electrolytes (including potassium, sodium, and magnesium), and fiber when following a ketogenic lifestyle. The main thing is to watch your electrolyte levels since you’ll typically lose fluids and minerals when following a low-carb high fat diet. If you aren’t getting enough water and electrolytes, you may start to experience dizziness, headaches, fatigue, and muscle cramps. I recommend drinking at least 2-3 liters of water daily and taking a high quality supplement for magnesium. For potassium, you can season your foods with more salt or add a small amount to drinks. Some people also supplement by using LoSalt (or Morton’s LiteSalt), which is reduced-sodium salt that has more potassium than you can find in potassium supplements. Once you have passed the initial keto flu period, you may also notice a dramatically clearer head. Many people have noticed that they are more focused from the minute they wake up and for the majority of the day. This tends to get better the longer you are in ketosis. 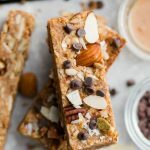 I believe this ties into the consistent energy levels – your blood sugar isn’t taking massive spikes and dips throughout the day as you pump glucose into your body at set meal times, before crashing a few hours later. If you have been following the keto lifestyle correctly, you should begin to notice some weight-loss fairly quickly. The majority of weight loss can happen without even really counting calories, because you can only eat so much fat before you are feeling really full. Now that you’ve researched the different foods that you can eat it is time to plan out your meals and do some meal prep. 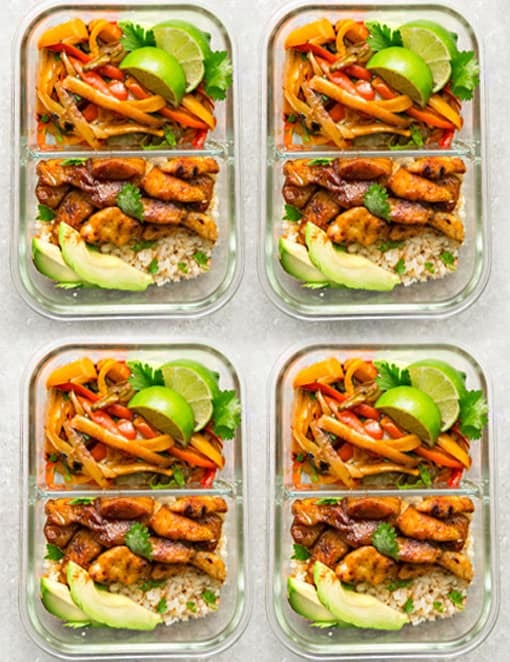 This beginner’s guide on how to meal prep can help you. When you do meal plans, though, you understand not only what you are going to eat, but when you are going to eat. This completely changes your mindset around eating. Instead of stressing about what you’re going to have for lunch you already know. Well, on Keto it comes down to understanding your macros. The traditional ratio of macros is 75% fats, 20% protein, and 5% carbs. 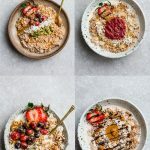 With those ratios in mind, you can use a macro calculator to figure out how many grams of each you need each day and from there you can check out the different keto recipes and plan accordingly. Choose one or two days a week to make a larger batch of various components for your meals. 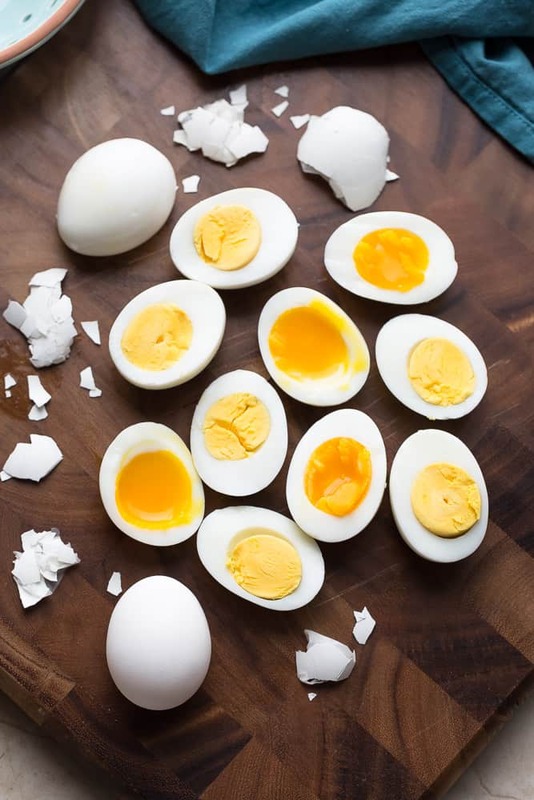 This can mean making one or two whole chickens to last you throughout the week, making a big batch of hard boiled eggs, breakfast egg muffins or roasting a double batch of vegetables. Those of you just starting out on the keto diet may find it helpful to track your macros by using an app or a food diary. This helps you plan ahead of time how many net carbs you will consume each day. I try to stay under 20 grams of net carbohydrates per day in order to stay in ketosis. Your number may be different depending on your body type, health and goals. When calculating your daily macros, it’s important to remember that net carbs refers to the amount of digestible carbohydrates, which is typically total carbs minus fiber. You can start by writing down all your meals in a food diary. Then just plug in the information into a macro calculator. There are tons of keto apps out there that you can purchase. However, if you are looking for a reliable free app, Cronometer is a great option that tracks over 70 nutrients. Carb Manger is also a great one that I’ve used in the past while others have also mentioned they use myfitnesspal, which has a large nutrition database and a food diary feature to log your meals. Once logged in, click on goals, then customize and use your personal macros from a Keto Calculator to update your new goals. Log your food every day. There is also a barcode scanner – logging or tracking your macros will take some getting used to, but you are worth the extra effort! Remember to track everything, even sauces, seasonings and creamers that you put in your coffee. A food scale will allow you to weigh out your serving sizes, which will make your food logging and tracking much more accurate. You may have a different idea of what 4oz of chicken really looks like. Some people count and track calories and macros, and some prefer a more relaxed approach. Since I’ve been following the keto diet for a while, I am usually able to just eyeball the amounts now instead of weighing everything. When you are just beginning, if you think tracking your macros will help you meet your goals, feel free to use any of the methods above that you prefer. Before you start a ketogenic diet, it’s important to take the time to do the preparation. Remember that keto is a lifestyle change and journey that requires planning and dedication. Buy the necessary supplements and any extra groceries you are going to need to meal prep. Keto isn’t something you can just dive right into. Keto causes you to make big changes to your lifestyle and doing that cold turkey on a whim is a recipe for success. However, if you take the steps mentioned in this post then you’ll find that your odds of succeeding are greatly improved. Disclaimer: Please not that I am not a certified nutritionist and make no claims to the contrary. I am merely providing my experience and what I have learned. Each individual’s dietary needs and restrictions are unique to the individual. Information is provided to the best of my ability. You can read my full Nutritional Disclaimer here. I have been following this diet for 2 months and never really understood it. This is the first thing I have read that makes sense. Thanks so much! I am about to start KETO for the first time!! a log to see how it works and if it works for me.